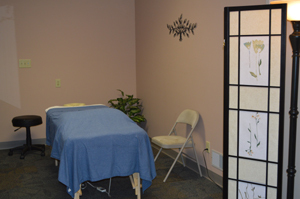 The options we offer our patients range from pregnancy chiropractic to massage techniques. We use highly-effective chiropractic adjusting to help improve spinal biomechanics and reduce nervous system interference. We also use several different types of manual massage to stimulate the immune system and restore coordination to the muscular system. This is a form of massage therapy in which the therapist focuses on myofascial trigger points. Trigger points are pockets of inflamed, toxic tissue. Often trigger points are painful to touch, but with repeat sessions, the pain lessens. Patients report wonderful results and say that years of chronic pain was resolved after only a few treatments. The Palmer Package is a variety of techniques taught at the Palmer College of Chiropractic in Davenport, Iowa, the birthplace of chiropractic. Techniques include: Gonstead (a gentle hands-on method of evaluating and adjusting the spine), Thompson (utilizes drop pieces in the adjusting table to facilitate the adjustment), Toggle Recoil (a very specific analysis and adjustment system for the atlas vertebra only). Otherwise known as, relaxation massage, this uses five styles of long, flowing strokes to reduce pain, improve flexibility, and stimulate blood flow. The five strokes are: effleurage (gliding), petrissage (kneading), tapotement (rhythmic tapping), friction, and vibration.